Featuring hot and cold attachments to provide a personalised massage. 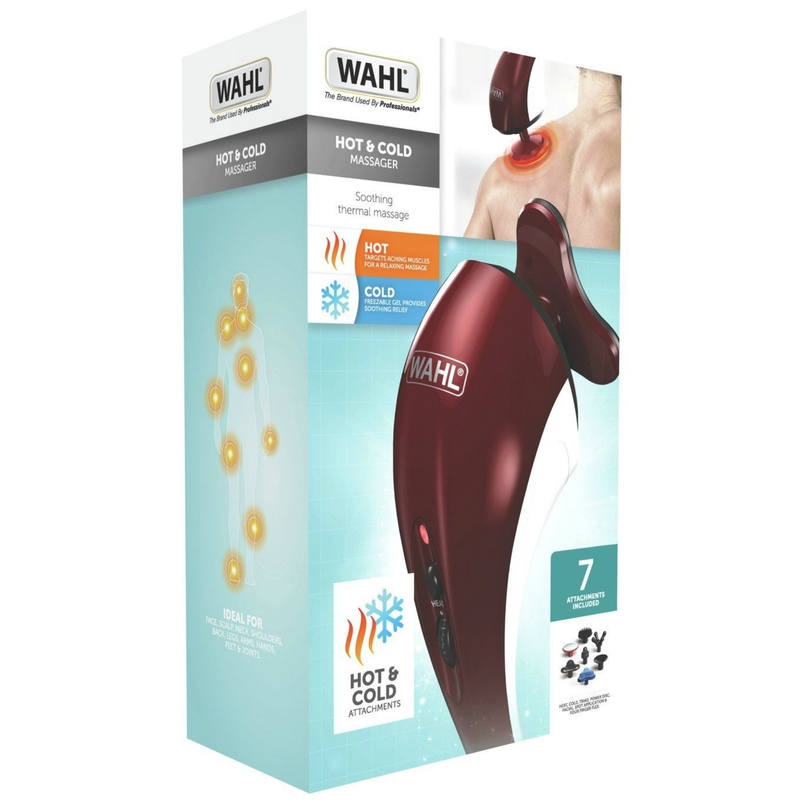 Use the heated attachment to help relax your muscles with a soothing, comforting massage experience or use the new cold gel attachment to help relieve pain and soreness while reducing inflammation and speeding up muscle recovery. The variable speed settings allow you to adjust the intensity of your massage from gentle and relaxing to intense and soothing for comforting deep tissue penetration. The facial attachment features a smooth surface for a gentle massage of the delicate facial area. 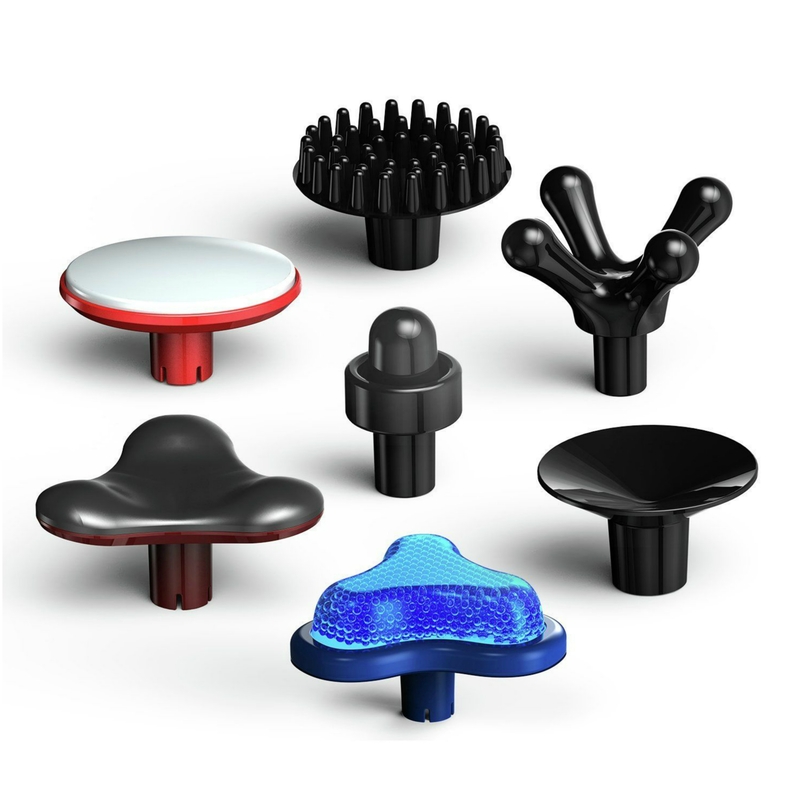 The large surface and pins on the power disc attachment helps to stimulate the skin and scalp. The Triad is ideal for an all over massage and the four finger flex attachment replicates human touch with the unique finger-like nodes. 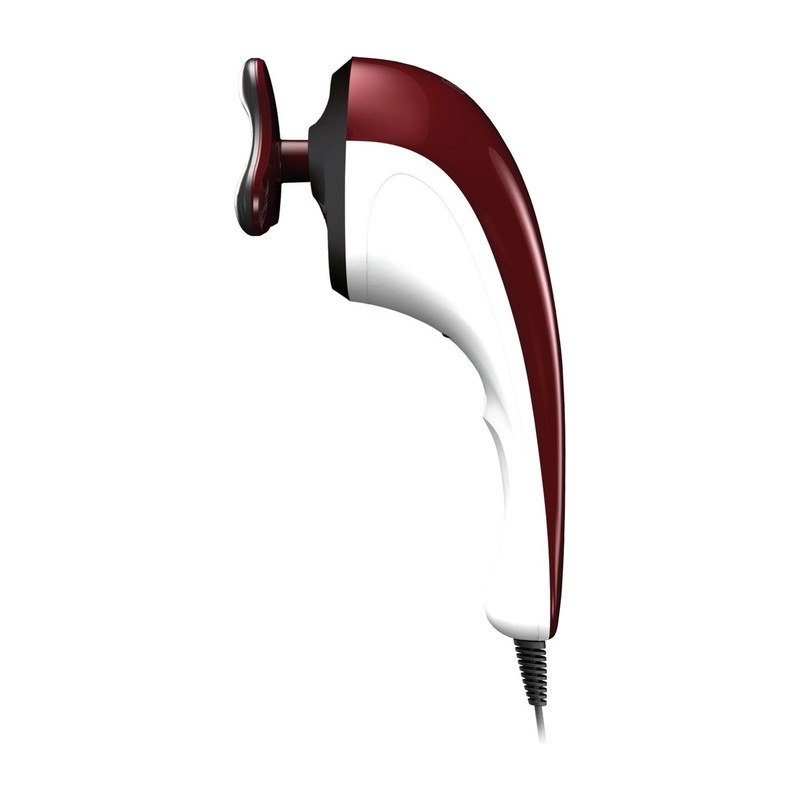 The spot application attachment targets problem areas and helps to relieve you of tension and discomfort. 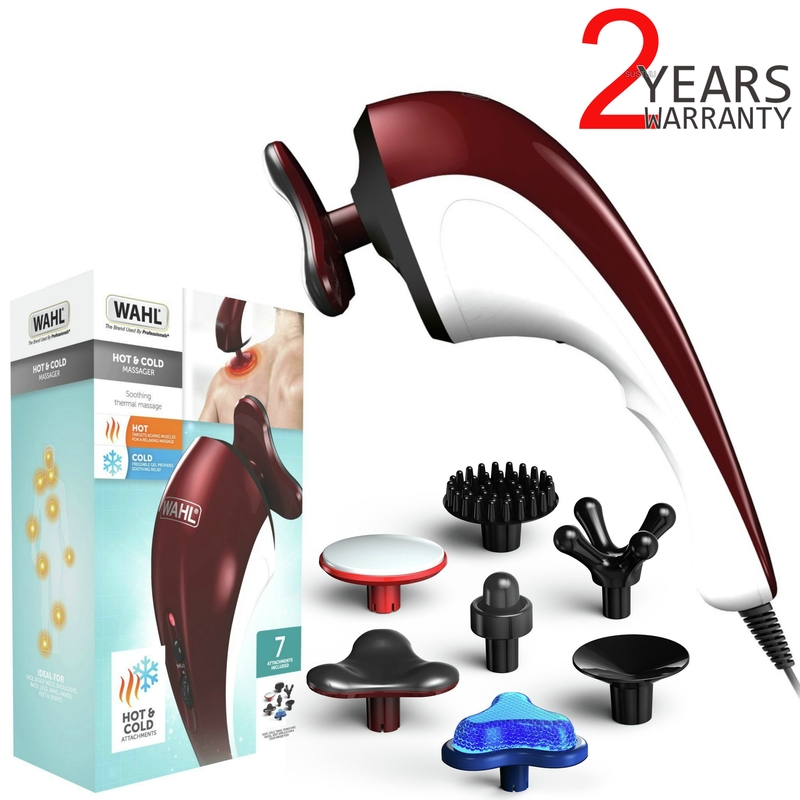 The Wahl Hot and cold massager is the answer to all your muscle and joint problems. Featuring variable speed settings that allow you to adjust the intensity of your massage from gentle and relaxing to intense and soothing for comforting deep tissue penetration. 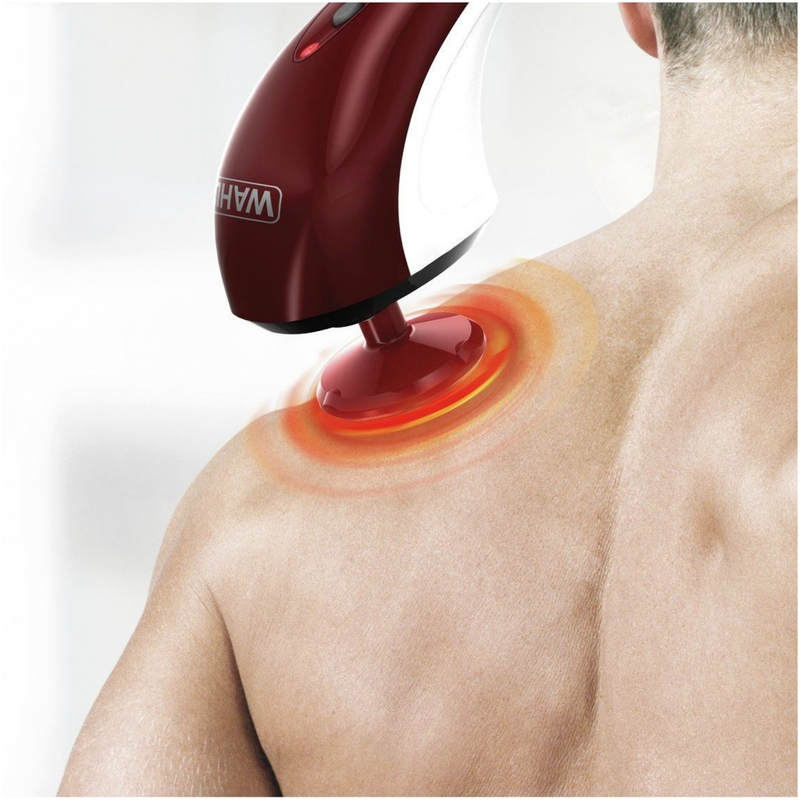 The heat attachment offers a soothing, comforting experience and helps to relax your muscles. Featuring a new cold gel attachment that relieves pain and soreness while reducing inflammation and speeding up muscle recovery. 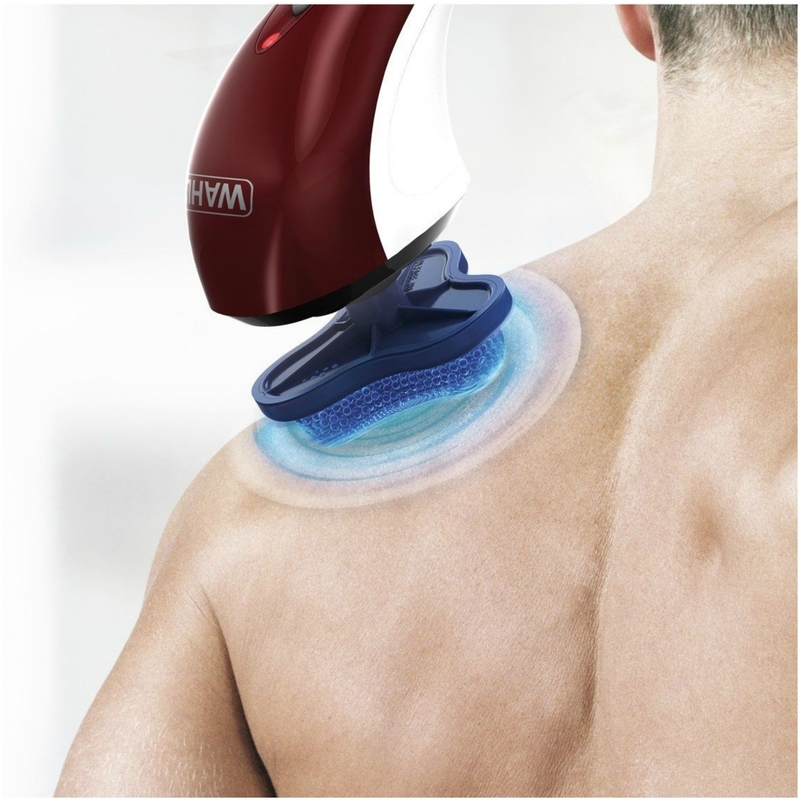 The heatattachment offer a soothing, comforting experience and relax tiredmuscles. The cold gelattachment helps to relieve pain and soreness while speed up musclerecovery. Withvariable speed dial allowing you to adjust the massage intensity fromlow to high to match your preference. Along withthe hot and cold attachments, this kit also includes a spot applicationattachment, Facial attachment, a power disc attachment, a four-fingerattachment and a triad attachment. VariableSpeed Dial - allowing you to adjust the massage intensity from low tohigh.